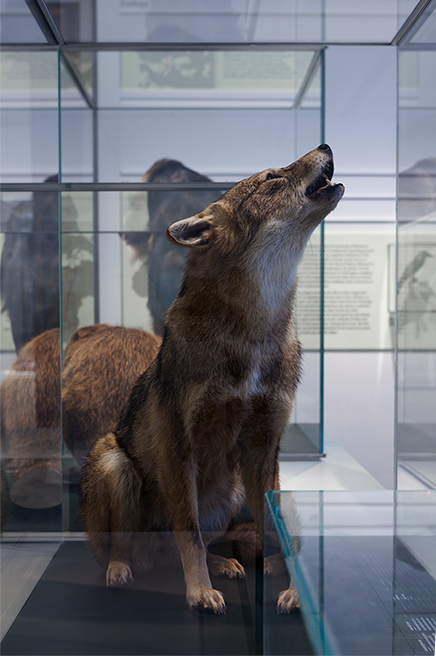 From the beginning of development of museum’s, dissect or taxidermied animals are staged to show viewers how these scarce figures were behaving and appearing. 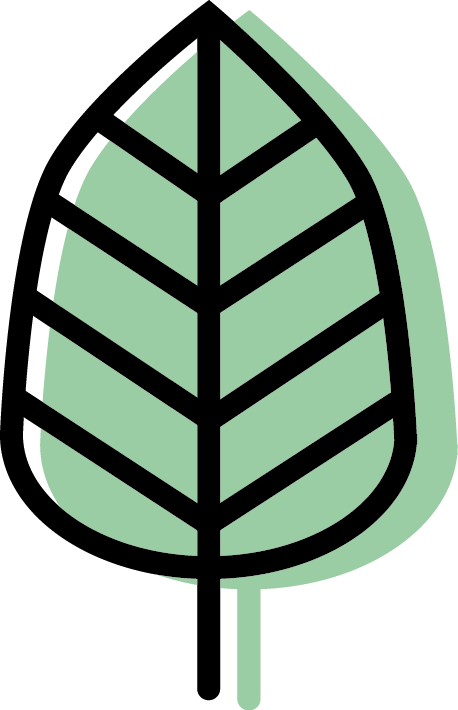 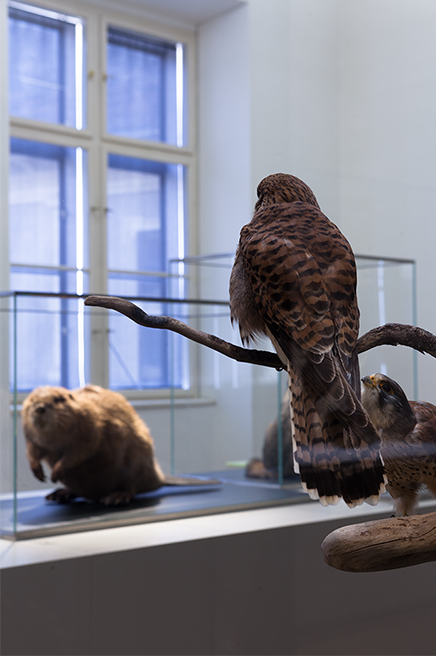 Through perfectly prepared and grounded posture life is given back to the animals and they seem approximately real. 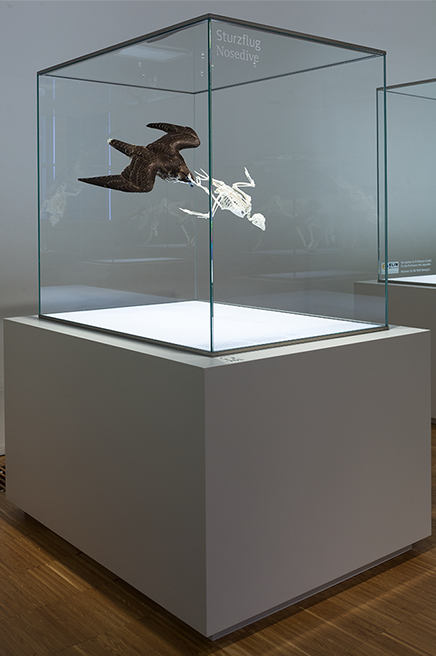 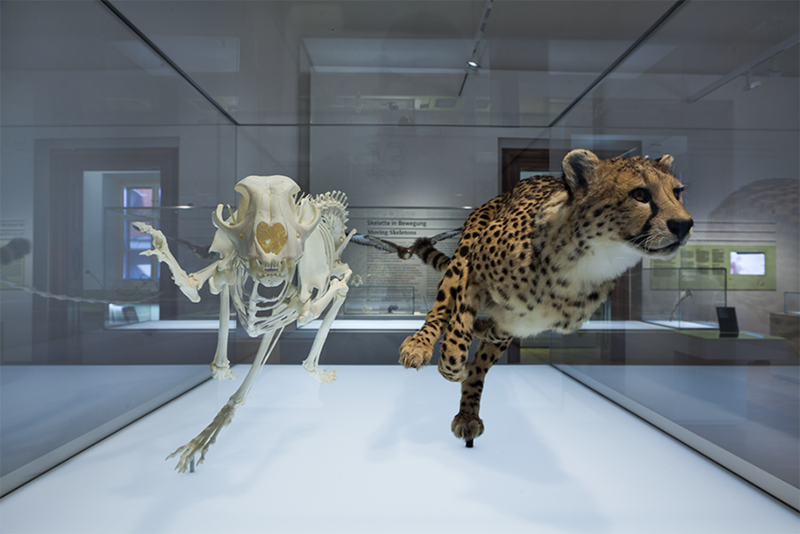 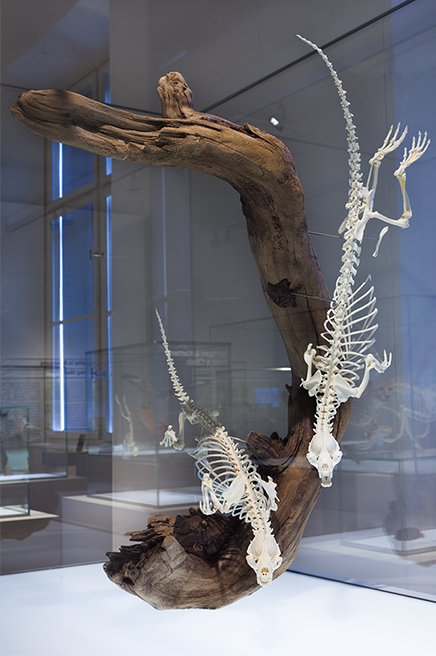 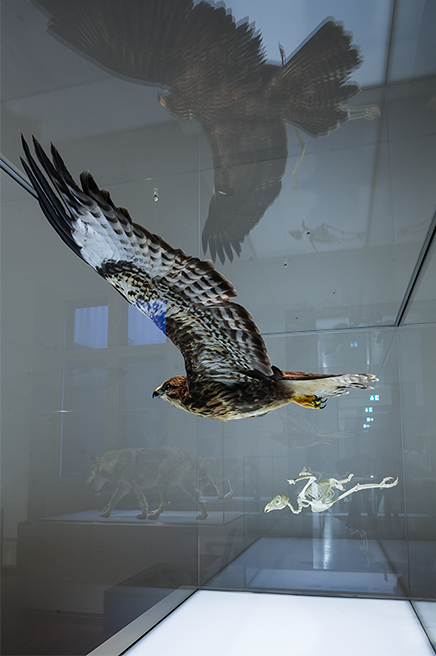 The preserved specimens are put in glass cabinets to protect the fragile individuals from the human hand. 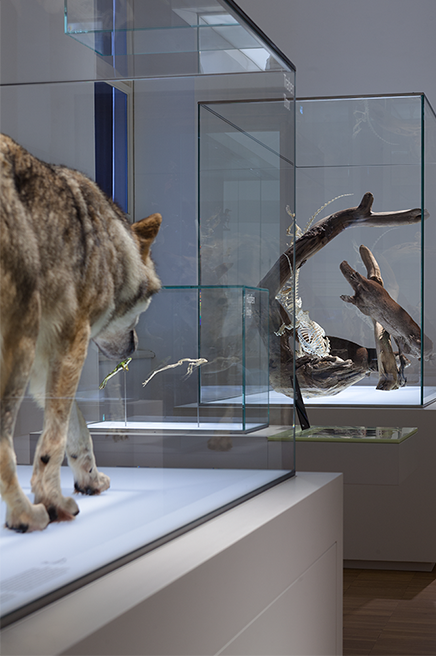 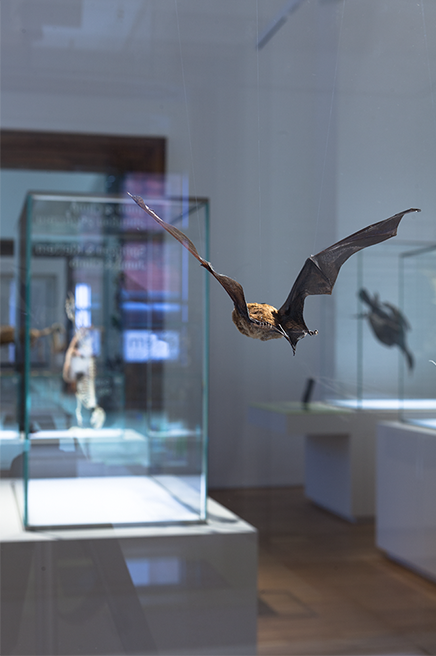 Through particular perspectives the exhibition in the museum of natural history in Graz turns out to be a sort custody of creatures: Birds seem like wanting to flee out of the old building’s window, a wolf goes hunting. 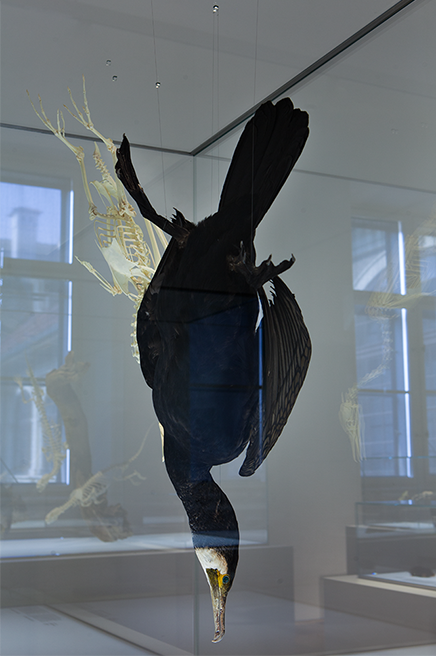 Some of the preserved specimens seem to look directly at the viewer, like a cry for help. 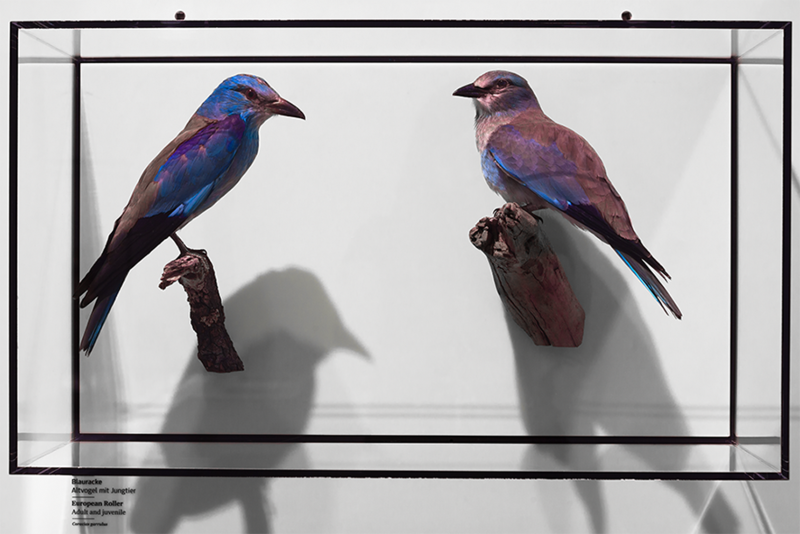 They appear to search for freedom, as if life still was indwelling.